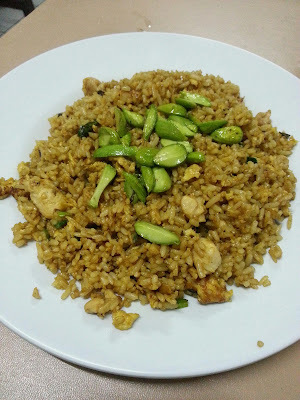 Note: The most legendary Stinky Bean Fried Rice in Bogor. Stinky Bean Fried Rice come with stir fried rice topped with Pete (Stinky Bean), Chicken and Egg. Taste nice and tasty.